That is the right word to describe this view : magnificient. Wow, fantastic picture! 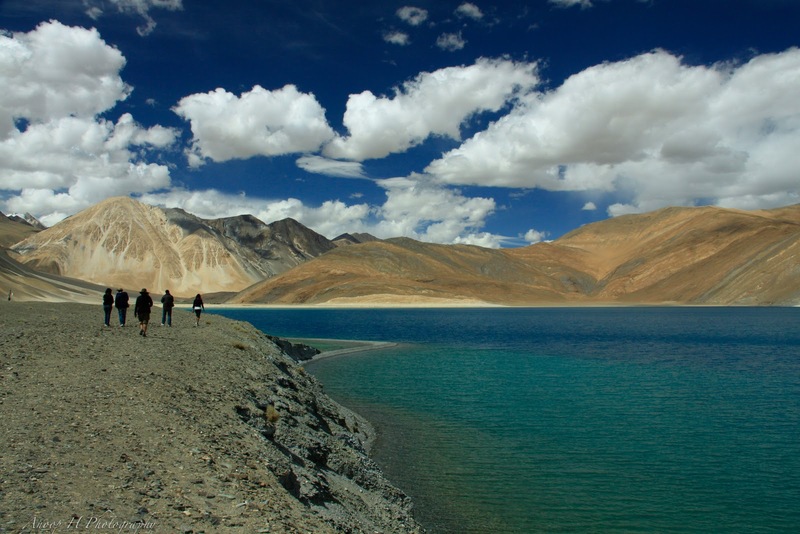 Very blue lake and sky with harsh mountain scenery.. The clouds make your picture perfect.